A sharp-eyed tennis player thought an umpire’s decision in his favor was wrong — so he told his opponent to challenge the call. His honesty cost him the match, but won the hearts of fans. The official at the Hopman Cup match in Perth, Australia Tuesday night called a serve by Australian Lleyton Hewitt out of bounds. But American Jack Sock (pictured at left above) shocked his opponent and brought laughs from the crowd — and the umpire. “That was in, if you want to challenge it,” Sock said as Hewitt prepared to serve again. Sure enough, an instant replay showed Sock was right and the crowd burst into applause for his honesty. He’d been ahead 4-5 in the first set until the call. 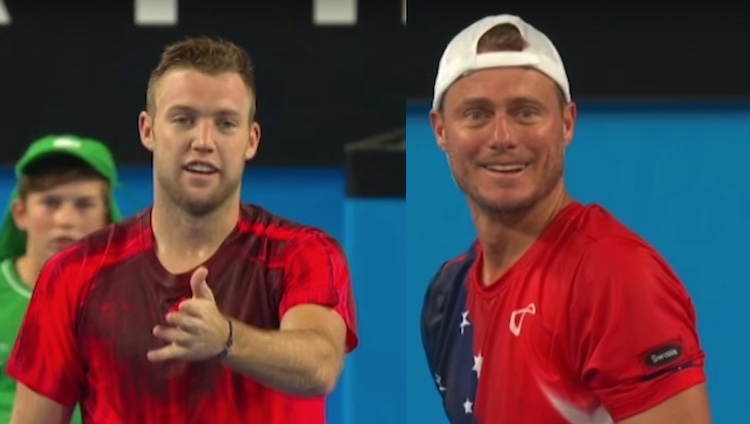 Sock’s honesty helped Hewitt win the match 7-5, 6-4 and prove that sportsmanship is alive and well.